Dieses Thema im Forum "ZyXEL" wurde erstellt von mamep, 6 Jan. 2007.
and can you give me some help with the setting.. Your Zyxel 650hw-37 must be worked as Annex A(Analog-Line) in your country, and in Germany there´s only Annex B ( Digital-Line). thx for the info man..
but the device is annex b..
Btw my connection speed is 16Mbit and zyxel's max speed it's 8Mbit. I bought an Avm Fritz! 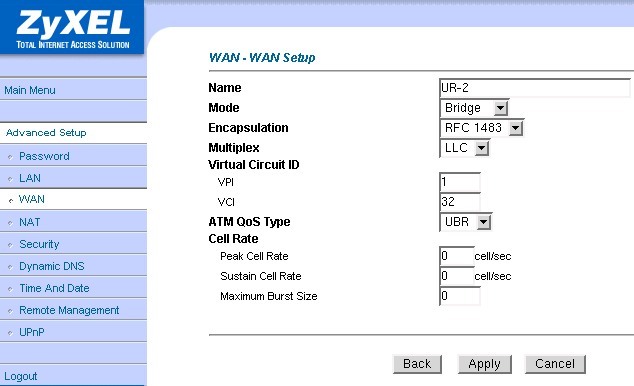 box Wlan 7170.